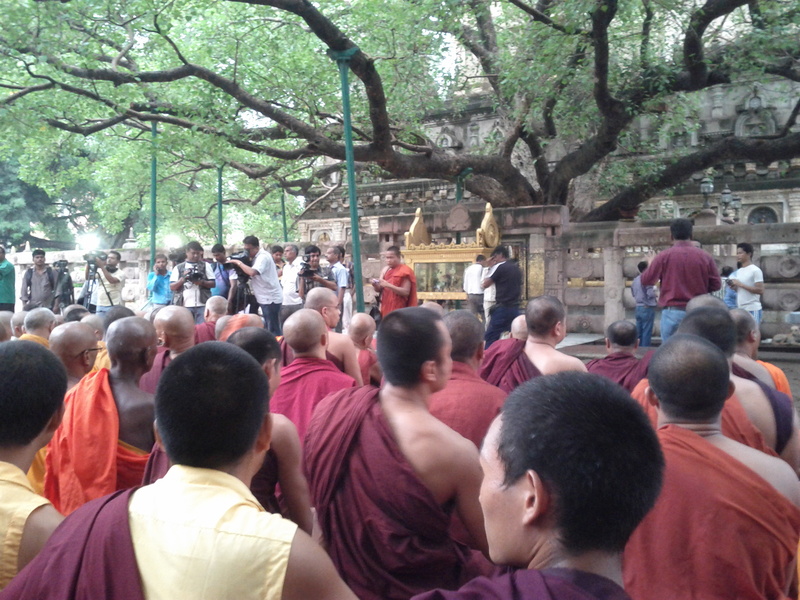 Prayers resume under Bodhi tree, at the Mahabodhi temple after serial blasts at the temple two days earlier. July 2013. The Bodh Gaya temple complex in Bihar was rocked by a series of explosions on July 7. Over a hundred worshippers had just finished 30 minutes of chanting and a few were entering the temple complex — a UNESCO World Heritage site associated with the Buddha’s enlightenment — when the first blast occurred at 5:45 a.m. Nine explosions followed in the next hour — four at temple sites and five in a 500-meter radius. Soon after, political workers started demonstrations hours after the blast, survivors expressed relief as prayers resumed a day later. The blasts stirred up debate among religious leaders in Bodh Gaya over the controversial Bodhgaya Temple Management Committee (BTMC) Act, 1949, which provides for a Hindu majority on the committee that looks after the complex.